The nun monastery of Frumoasa is dedicated to the Holy Trinity. 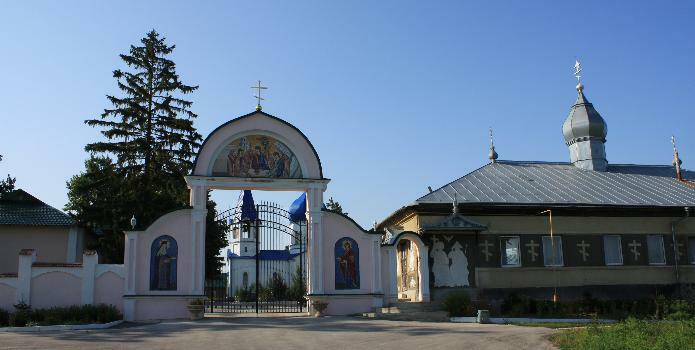 It is placed in the village of Frumoasa, on the valley of River Ichel, in the raion of Călăraşi. 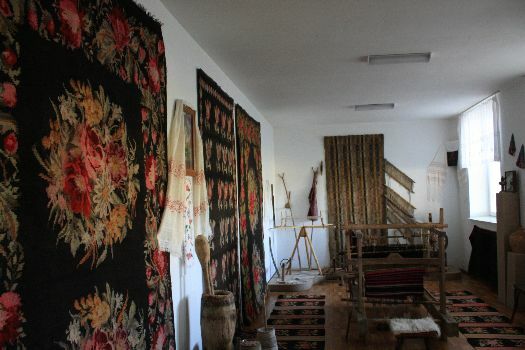 It was founded in 1804 by Efrem Iurcu, yeoman from the village of Onişcani. His name as a monk was Eftimie. At the time the monastery's name was Frumuşica (a diminutive of Frumoasa, that means Beautiful). 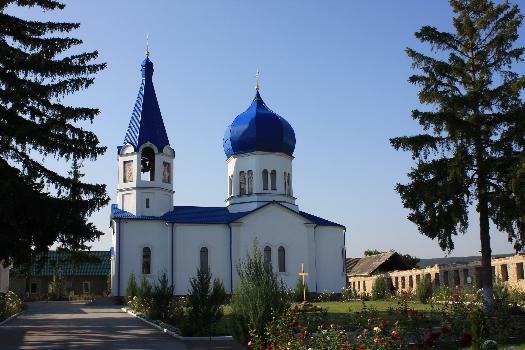 The church was built from wood between 1808 and 1810 by the handicraftsman Ignat from the village of Bravicea. In 1851 the church was rebuilt from stone. It is dedicated to the Dormition of the Virgin. Between 2003 and 2008 the summer church was completely rebuilt. In 1937 Frumoasa was transformed into a monastery for nuns. In 1946 the nuns left for the monastery of Hirova, because Frumoasa was closed (until 1994). 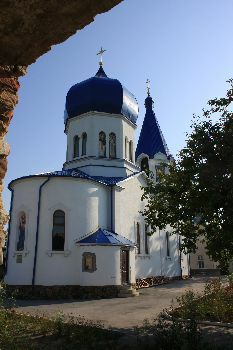 The monastery has another church, dedicated to the Holy Trinity (finished in 1861, the first reactivated after 1989). 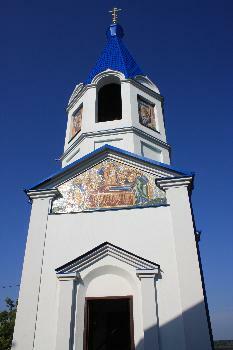 During the communist times the great church was harshly modified: the belfry and the dome were demolished. Here functioned several institutions: orphanage, school for deaf-mute children, reformatory for minor girls. 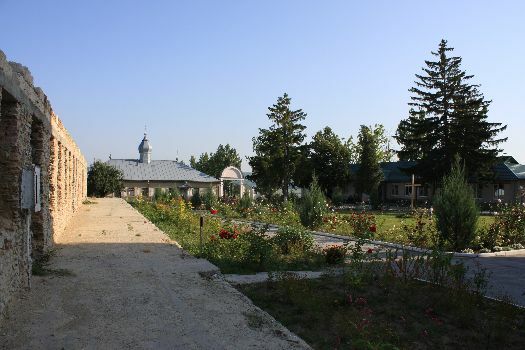 In 1994 the monastery was reestablished by monks, and in 2005 was transformed in a nun monastery. Frumoasa Monastery has his own site website (Romanian only). Looking at the image of the church on the coin, it seems that in the past the church had a small porch. 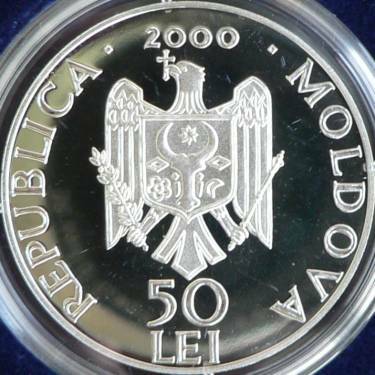 It must be mentioned that in year 2000, when the National Bank of Moldavia issued these coins, the church of Frumoasa Monastery had only the walls, being almost completely destroyed by the 1986 fire. 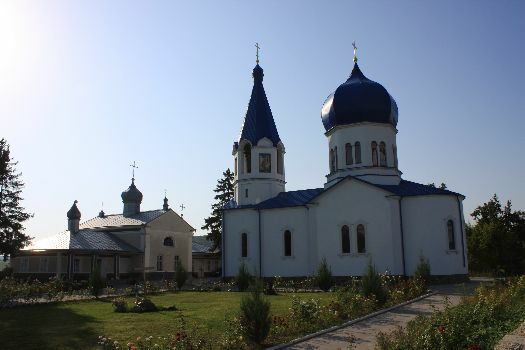 The belfry and the Pantocrator dome were rebuilt in 2004, the roof was completed in 2006, the restoration being finished in 2008. 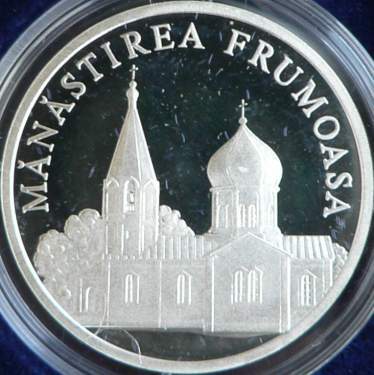 The same situation was (in 2000) for many more other monasteries pictured in this coin set.